Prior to his appointment at TU Wien, Professor Thurner was Lecturer, Reader and then Professor of Biomedical Engineering within the Faculty of Engineering and the Environment at the University of Southampton. His main research interest are experimental micro- and nanomechanics of biological tissues and individual tissue components and related structure-function relationships. Before joining the School of Engineering Science he was working at the University of California from 2004 to 2007. In 2007 he held the position of an associate specialist in the research group of Prof. Tamara Alliston at UC San Francisco, investigating the effects of noncollagenous bone matrix proteins on bone ultrastructure and bone matrix material properties. From 2004 to 2006 he was a postdoctoral fellow in the laboratory of Prof. Paul Hansma at UC Santa Barbara. For this period he was awarded two fellowships from the Swiss National Science Foundation allowing him to explore failure initiation and crack propagation in bone on the micro- and nanoscale. 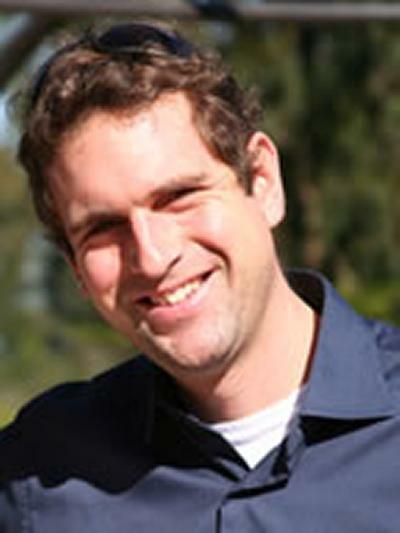 For his discovery and explanation of the stress-whitening effect in bone he won an outstanding meeting paper award at the MRS Spring Meeting in 2005. He received his PhD in Materials Science from the Institute for Biomedical Engineering (IBT) of the Swiss Federal Institute of Technology (ETH) in 2004, while being also affiliated with the Swiss Federal Laboratories for Materials Testing and Research (EMPA). During his PhD project he developed novel methods for functional 3D imaging of bone, cell cultures, and porous biocompatible materials using synchrotron radiation micro-computed tomography (SRµCT). One of these methods, the combination of in situ mechanical testing during SRµCT, led to the first time-lapsed x-ray 3D images of microcrack and microfracture formation. Initially he graduated with an MSc degree in Physics with distinction from Graz University of Technology in Austria in 1999. Brennan, M. A., Gleeson, J. P., Browne, M., O'Brien, F. J., Thurner, P. J., & McNamara, L. M. (2011). Site specific increase in heterogeneity of trabecular bone tissue mineral during oestrogen deficiency. European Cells & Materials, 21, 396-406. Voide, R., van Lenthe, G. H., Stauber, M., Schneider, P., Thurner, P. J., Wyss, P., ... Müller, R. (2008). Functional microimaging: a hierarchical investigation of bone failure behavior. Journal of the Japanese Society of Bone Morphometry, 18, 9-21. Hansma, P. K., Fantner, G. E., Kindt, J. H., Thurner, P. J., Schitter, G., Turner, P. J., ... Finch, M. M. (2005). Sacrificial bonds in the interfibrillar matrix of bone. Journal of Musculoskeletal and Neuronal Interactions, 5(4), 313-315. Bernhardt, R., Scharnweber, D., Müller, B., Beckmann, F., Thurner, P. J., Schliephake, H., ... Worch, H. (2004). Comparison of microfocus- and synchrotron x-ray tomography for the analysis of osteointgration around Ti6Al4V implants. European Cells & Materials, 7, 42-51. Thurner, P. J., Stampanoni, M., Hubbell, J. A., & Müller, R. (2002). Investigation of microcracks in trabecular bone using synchrotron radiation based micro-computed tomography (SR?CT). Bone, 12(P-37). Thurner, P., Karamuk, E., & Müller, B. (2001). 3-D characterization of fibroblast cultures on PET-textiles. European Cells & Materials, 2(Supplement 1), 57-58. Thurner, P. J., & Katsamenis, O. (2014). Measuring forces between structural elements in composites: from macromolecules to bone. In E. DiMasi, & L. B. Gower (Eds. ), Biomineralization Sourcebook: Characterization of Biominerals and Biomimetic Materials (pp. 321). Boca Raton, US: CRC Press. Thurner, P. J., Oroudjev, E., Jungmann, R., Kreutz, C., Kindt, J. H., Schitter, G., ... Hansma, P. K. (Accepted/In press). Imaging of bone ultrastructure using atomic force microscopy. In A. Méndez-Vilas, & J. Díaz (Eds. ), Modern Research and Educational Topics in Microscopy (Microscopy Book Series; No. 3). Formatex. Müller, R., Nazarian, A., Schneider, P., Stauber, M., Thurner, P., Van Lenthe, G. H., & Voide, R. (2006). Functional microimaging at the interface of bone mechanics and biology. In Mechanics of Biological Tissues (pp. 473-487). Heidelberg, Germany: Springer. Nobakhti, S., Katsamenis, O., Andriotis, O., Limbert, G., & Thurner, P. J. (2013). Micromechanical model of bovine Haversian bone predicts strain amplification through soft interfaces. Paper presented at 19th Congress of the European Society of Biomechanics, Greece. Nobakhti, S., Katsamenis, O., Andriotis, O. G., Limbert, G., & Thurner, P. J. (2013). Micromechanics of haversian bovine bone. Paper presented at 11th International Symposium on Computer Methods in Biomechanics and Biomedical Engineering (CMBBE 2013), United States. Thurner, P., Katsamenis, O., Nobakhti, S., Andriotis, O., Chong, H. M. H., & Limbert, G. (2012). Microstructure, interfaces, composition: towards better microscale experimentation and models of bone. Paper presented at 6th European Congress on Computational Methods in Applied Sciences and Engineering (ECCOMAS), Austria. Jungmann, R., Schitter, G., Fantner, G. E., Lauer, M. E., Hansma, P. K., & Thurner, P. J. (2007). Real-time microdamage and strain detection during micromechanical testing of single trabeculae. In Experimental and Applied Mechanics: SEM Annual Conference and Exposition 2007 (3 Vols) New York, USA: Curran Associates. Schitter, G., Fantner, G. E., Thurner, P. J., Adams, J., & Hansma, P. K. (Accepted/In press). Design and characterization of a novel scanner for high-speed atomic force microscopy. Paper presented at Mechatronics 2006: 4th IFAC-Symposium on Mechantronic Systems, . Schitter, G., Astrom, K. J., DeMartini, B. E., Turner, K. L., Fantner, G. E., Thurner, P. J., & Hansma, P. K. (2006). Design and modeling of a high-speed scanner for Atomic Force Microscopy. In Proceedings of the 2006 American Control Conference (pp. 502-507). Richardson TX, USA: IEEE. Kindt, J. H., Fantner, G. E., Thurner, P. J., Schitter, G., & Hansma, P. K. (2005). A new technique for imaging mineralized fibrils on bovine bone fracture surfaces by atomic force microscopy. In F. Fratzl, W. J. Landis, R. Wang, & F. H. Silver (Eds. ), Structure and Mechanical Behavior of Biological Materials Warrendale, USA: Materials Research Society Symposium Proceedings. Thurner, P. J., Erickson, B., Schriock, Z., Langan, J., Scott, J., Zhao, M., ... Hansma, P. K. (2005). High-speed photography of human trabecular bone during compression. In F. Fratzl, W. J. Landis, R. Wang, & F. H. Silver (Eds. ), Structure and Mechanical Behavior of Biological Materials (Materials Research Society Symposium Proceedings; Vol. 874). Warrendale, USA: Materials Research Society. Müller, R., Stauber, M., Nazarian, A., Thurner, P., Voide, R., & Van Lenthe, G. H. (2004). Functional microimaging at the interface of bone mechanics and biology. Paper presented at X Mediterranean Conference on Medical and Biological Engineering (MEDICON 2004), . Thurner, P., Wyss, P., Obrist, A., Sennhauser, U., & Müller, R. (2003). Image guided failure assessment of trabecular bone using synchrotron radiation (SR). Paper presented at 13th Annual Meeting of the European Orthopaedic Research Society, . Wyss, P., Thurner, P. J., Stampanoni, M., Obrist, A., Hofmann, J., Lüthi, T., ... Patterson, B. (2003). X-ray tomographic and laminographic microscopy (XTM, XLM) using Synchrotron Radiation. In Proceedings BB 84-CD: International Symposium on Computed Tomography and Image Processing for Industrial Radiology (BB 84-CD). Germany: The German Society for Non-Destructive Testing.